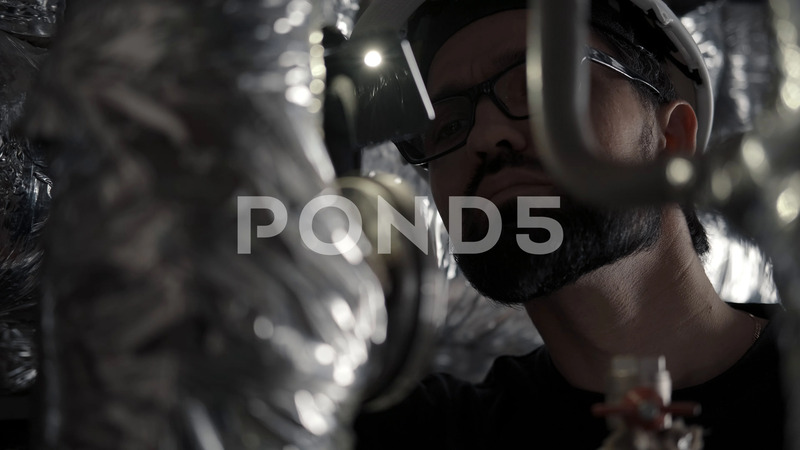 Man Works In Room With Pipes, Carefully Checks The System. Description: Man in helmet and glasses works in room with pipes (heating or gas station), carefully studies sensors, checks the system. Safety. Portrait is shot through the pipes in a silver corrugation.